Classic Revival: JCQ, coming to a town near you. From left – Rick Abbs, Rick Chase, John Coghlan, Mick Hughes. 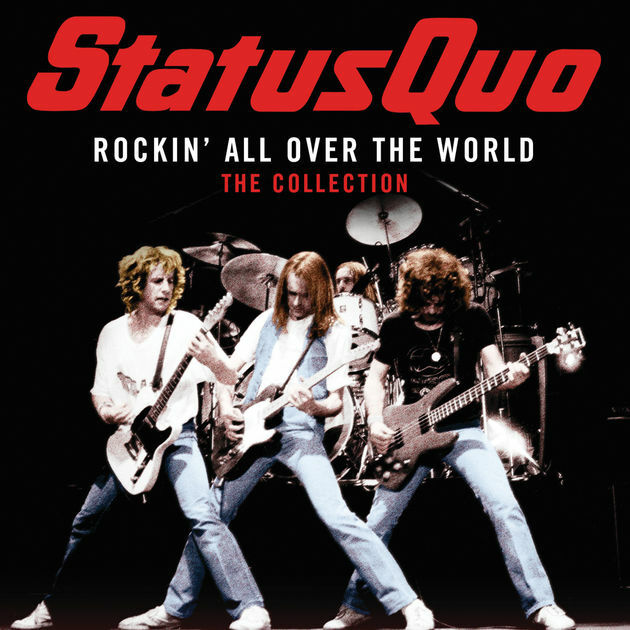 In the BBC documentary Hello Quo, there’s revealing footage of a jam session at Shepperton Studios featuring the original members of Status Quo, for the first time since drummer John Coghlan left 31 years earlier. 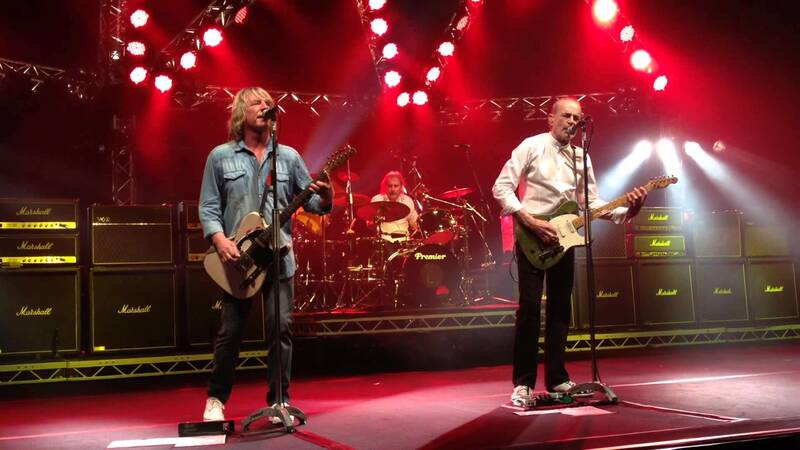 That 2012 meeting led to two reunion tours for Coghlan, old pal Alan Lancaster (bass) and Quo ever-presents Rick Parfitt (rhythm guitar/vocals) and Francis Rossi (lead guitar/vocals). And recriminations and tensions surrounding Coghlan’s initial departure were finally put aside for what proved to be one last hurrah of the ‘classic’ line-up, deemed all the more important bearing in mind Parfitt’s death last Christmas. And while Rossi remains busy on the international circuit under the old Status Quo banner – alongside long-time associates Andy Bown (keyboards), John ‘Rhino’ Edwards (bass) and Leon Cave (drums) plus Rick’s recent replacement Richie Malone (guitar) – the original drummer is also still out there, leading John Coghlan’s Quo from the rear. 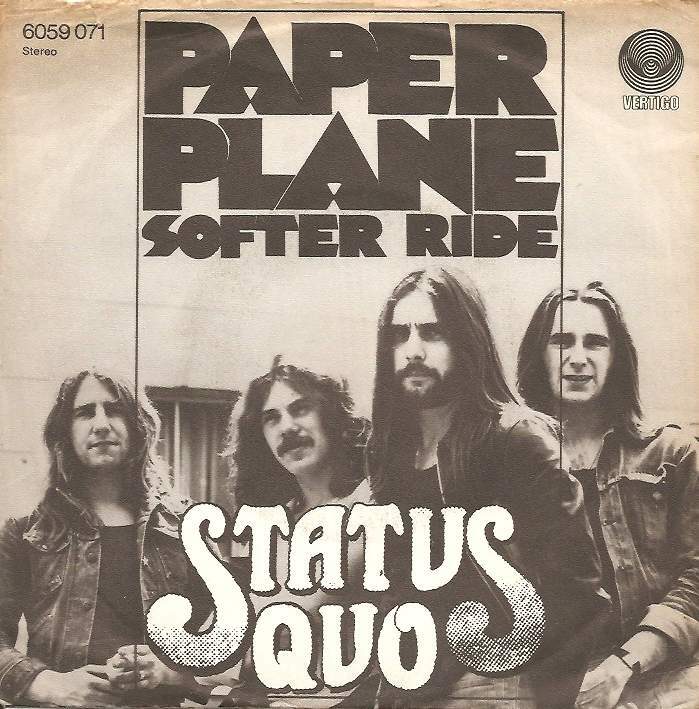 Coghlan first worked with Rossi and Lancaster in The Spectres in 1963, that band becoming Traffic Jam then Status Quo in 1967, by which time Parfitt was also on board, a five-piece honed down to the ’Frantic Four’ in 1970 and lasting until the drummer’s 1981 departure. But after a year kicking his heels he was back behind a kit, and 35 years later the gigs continue for this amiable 70-year-old, who brings his band to The Continental in Preston, Lancashire. on Saturday, August 12th. That’s not the next show though, and I asked my interviewee about the Party in the Park in Woking, Surrey, on Saturday, July 8th, dedicated to Parfitt, who grew up within walking distance of that open-air location. What’s more, we talked about an impromptu tribute in South-West London at what turned out be an emotional end of year JCQ show at the Half Moon in Putney, following Parfitt’s death in Marbella on Christmas Eve, 2016. Coghlan’s doesn’t come over as a big talker, at least not on the phone. Just humble, I guess. There’s nothing showy about him. My interview with the more in-your-face Francis Rossi – and I mean that in a good way – a couple of years ago was very different. But I told the original Quo sticksman I’d just watched that Shepperton Studios footage from 2012 again, and felt Alan G. Parker’s film perfectly captured the sense of awkwardness as the ‘Frantic Four’ resumed for the first time since 1981. There are several versions of the story behind Coghlan leaving, the most dramatic involving him sat down to do a session take, tapping around then getting up, kicking the whole kit apart and storming out. He denies that in the Hello Quo documentary, suggesting – a little tongue-in-cheek, perhaps – he loves his kit too much to damage it. But the drink and the drugs were clearly taking their toll on the dynamics and there were obvious in-band tensions. It seems he didn’t feel part of the inner circle, Rossi tuning his drums before he came in to that particular session supposedly proving the last straw. We don’t go into all that though. Instead, I asked if it was a relief, particularly in light of Parfitt’s passing, to finally get back together after all those years. And as a result, the classic four-piece ended up playing two reunion tours together. Was that a bit of ‘closure’ for you and the band? And was it nice to be back with the old crew, rather than dwelling on all the problems and arguments that ultimately pulled you apart? Looking back on that 1981 departure – irrespective of the decision and the aftermath – I suggest to my interviewee that he got out at the right time, even though he probably didn’t feel that way at the time. Let’s face it – the years that followed weren’t the band’s best, creatively. And to be part of the band for so long was something to be proud of. He was on board for 20 years and 14 albums, after all. It was rarely the same again from 1981 until more recent returns to form, at least not in the studio. I tried my best there, but he wasn’t for enlarging on all that, opening old wounds. You can’t blame him either, and I’m sure Parfitt’s passing help put all those old tensions in perspective. Instead, I moved on, right up to date, asking about the fact that he’s still out there playing and to shed light on JCQ and JCB (the John Coghlan Band). 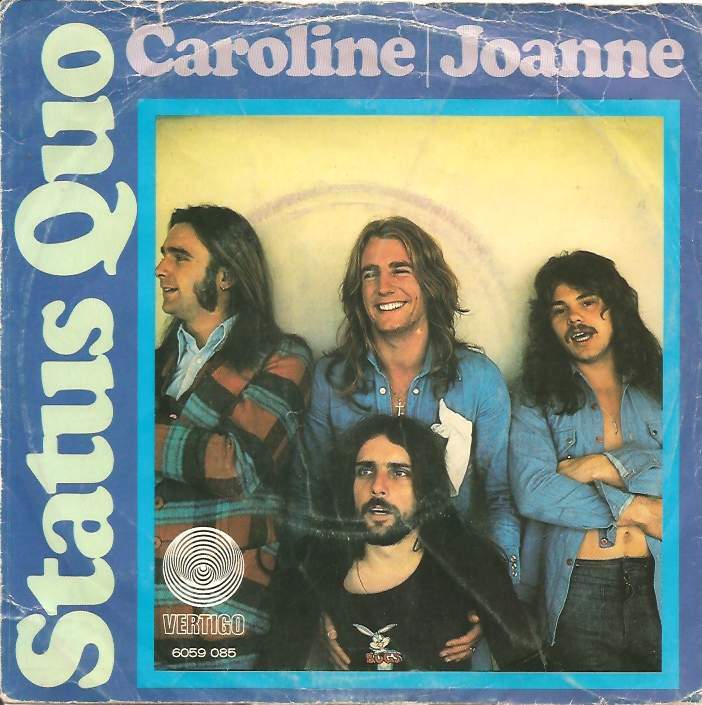 The prime aim – according to JCQ’s press release – is ‘to recreate an authentic ‘70s Quo sound’, in keeping with John’s time with the band. And the diary remains pretty full. Did you always enjoy the travelling, including all that down-time? Seeing as he mentioned age, I asked if it’s harder to get up on stage these days, or does his rock’n’roll vocation keep him young? Originally from South London, he’s been based in Oxfordshire for more than 30 years, on the edge of the Cotswolds, having spent around a decade on the Isle of Man before that. Is there enough room on the drive for his collection of vintage military vehicles? Going back to his roots, his father was from Glasgow and his London-born mother was half-French, on her mother’s side. Were his family always supportive of his music career? You had that early break with The Spectres, getting a call to play Butlin’s in Minehead. Was it then that you had a little extra tuition from Lloyd Ryan (as Phil Collins would later)? By his own admission, your future bandmate Mr Parfitt was more on the cabaret side of the business at that stage. Coghlan grew up in Dulwich, leaving school at 15 to begin an apprenticeship as a mechanic. Could that ever have worked out, or was the pull of music too strong? It helps that you’re very good at your job too. Was there the belief when you joined The Spectres 54 years ago that you could ever reach the top? Looking back at all those years, from the holiday camps until you left Quo, could you pick out a few key moments that will always stay with you, confirming this was what you wanted to do in life? After you left, you had around a year away from it all, but already had side-project Diesel in the background, making your live debut at the Marquee in ’77. I’m also intrigued by your one-off 1983 project The Rockers, with Roy Wood, Phil Lynott and Chas Hodges. Did you keep in touch with your fellow Rockers? One of those involved with Diesel was Andy Bown, part of the Quo set-up since 73 but not a full-time member until after Coghlan left. I’m guessing you met a lot of old mates at Woking Crematorium that day, albeit in difficult circumstances. When you think of Rick now, is there a particular moment that springs to mind, or was it just all those shared memories? I suppose the business gets in the way sometimes and it’s easy to forget the good times and shared memories you had. During those years on the Isle of Man and in Oxfordshire ever since you’ve been with your beloved, Gillie. Does she deserve a medal for sticking by you all those years? He also has a daughter, from his first marriage, based in Hertfordshire, Is he a grandfather these days? But Grandad John’s still out on the road. Could he ever have envisaged that scenario all those years ago? You’ve worked with many big names. Anyone in particular still on the list, at least to jam with? 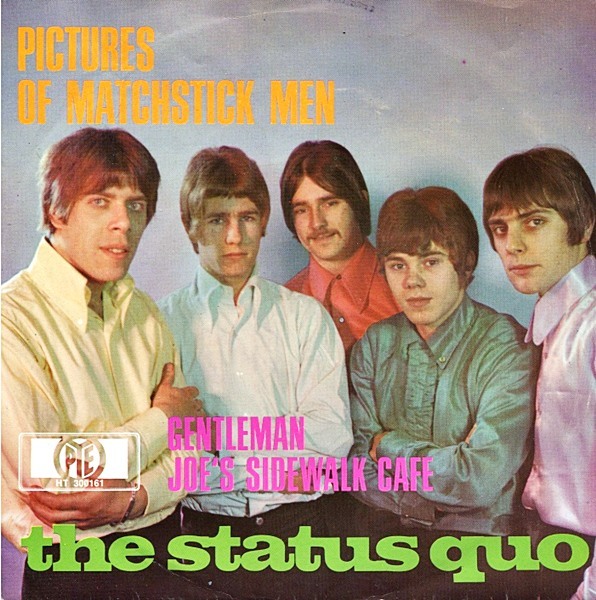 You suggested on the Hello Quo documentary that after your success with Pictures of Matchstick Men, you still didn’t know which direction to take until the band heard The Doors’ Roadhouse Blues. And of course Young was another Quo contributor who ended up with you in Diesel. Finally, of which Quo tracks would you say you’re most proud of all these years on? Tickets for John Coghlan’s Quo at The Continental on Saturday, August 12 are £18 in advance from WeGotTickets or in person from The Continental (01772 499 425) and Action Records (01772 884 772). For details of Woking’s Party in the Park on Saturday, July 8th, try here. The band are set to go on at 5pm, and later the same day play the Rose Theatre in Kingston, stepping on stage at 9.30pm. 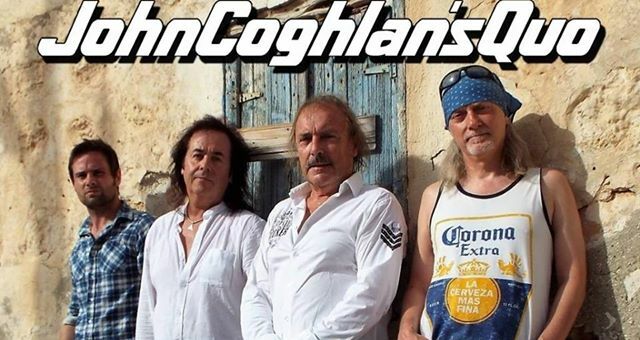 For more gig news and all the latest from John Coghlan’s Quo, check out the official website. You can also keep in touch with John’s happenings via Facebook and Twitter. 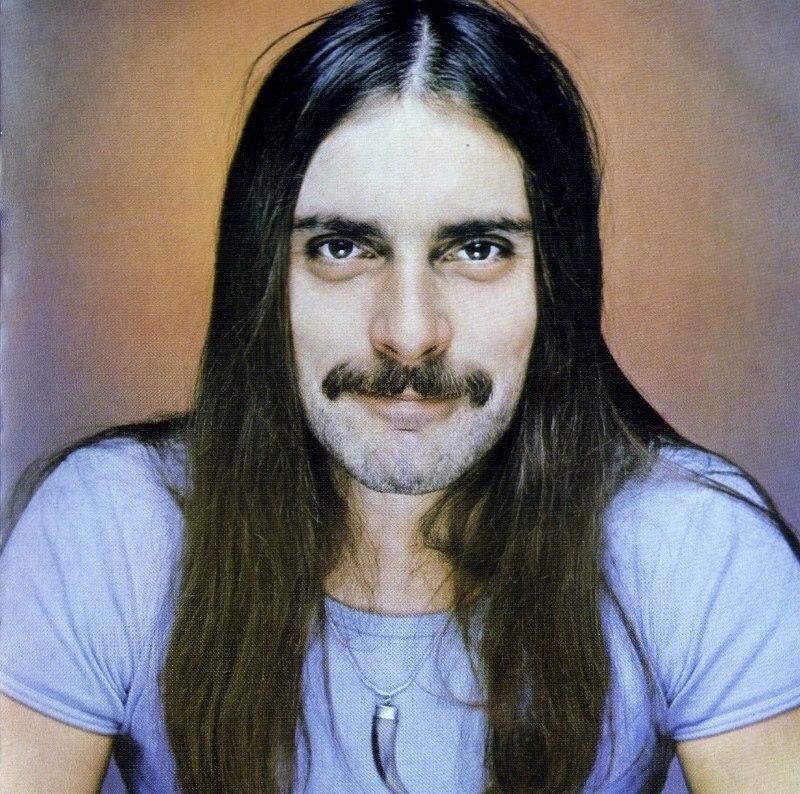 To look back on this site’s interview with Francis Rossi from July 2015, follow this link. And for the writewyattuk verdict on Status Quo live at Hoghton Tower later that month, head here. This entry was posted in Books Films, TV & Radio, Music and tagged Alan G. Parker, Alan Lancaster, Andy Bown, Bob Young, Diesel, Dulwich, Eric Clapton, Francis Rossi, Half Moon Putney, Hello Quo, Jackie Lynton, JCQ, John Coghlan, Oxfordshire, Pictures of Matchstick Men, Preston, Rick Parfitt, Shepperton Studios, Status Quo, The Rockers, the Spectres, Woking. Bookmark the permalink.